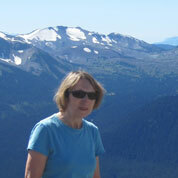 Dorothy Maillet is a writer and adventurer from Irvington, NY. Her travels have taken her to India, Morocco, Turkey, Greece, Italy, Spain, Switzerland and other intriguing destinations throughout Europe, the Caribbean and North America. She is currently training to walk El Camino de Santiago. Dorothy’s stories have appeared in www.more.com, www.bootsnall.com, and Westchester Life, as well as in various publications of the Gannett newspaper chain.